Since left and progressive forces, including labor unions, wage an underground struggle in Iran, special measures had to be taken to conduct this interview. The questions and the answers were transmitted to and from Iran by a People’s World source outside that country. The Tudeh Party chose People’s World as the venue for this important interview because it wanted to give people in our country, on the 40th anniversary of the Iranian Revolution, a better understanding of what is happening in Iran. The movement that started out with great hope for the future of that country became, for many reasons, a failed revolution. This interview helps clarify for our readers the reasons for this failure and outlines the direction in which the progressive forces in Iran hope to lead their country now. Omidvar also explains why the Tudeh Party opposes current U.S. sanctions against Iran and why the Trump policy of regime change is so fiercely opposed by the country’s progressive forces. People’s World: Progressive forces around the world had assessed the February 1979 revolution in Iran as a broadly-supported, all-encompassing social revolution, one of the most exciting and popular uprisings of the 20th century. What were the key factors in the final years of the Shah’s rule that led to the revolution? Iran under the Shah was often represented in the Western media as a strong, modern, and even democratic country. Was this the case? Mohammad Omidvar—The 1979 revolution in Iran was a national democratic revolution, a classic example of a majority- supported revolution that took place in the particular circumstances of the growth of capitalism in Iran. In the 1960s and ’70s, Iranian society faced a profound structural crisis due to the expansion of capitalist relations whereby representatives of the comprador bourgeois class dominated the political and economic life of the country. 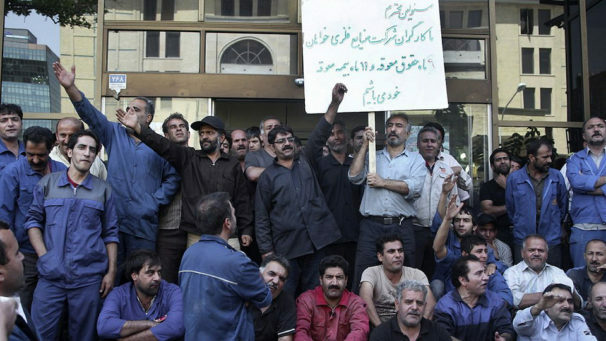 The ever-increasing influence of capital in the Iranian economy, with a police state that prevailed to safeguard the despotic client regime, resulted in the middle strata becoming ever more squeezed. This also led to the weakening of the economic positions of sections of the national bourgeoisie. It is also noteworthy that during the same period the working class was experiencing a modest growth due to the migration of a large number of people from rural areas into cities as a result of the pseudo-land reforms enacted. The real reason for these limited reforms was to eliminate the threat to the Shah’s regime from large landowners. This gave the growing working class more social weight within the class structure of our society. The 1979 Revolution, therefore, arose from serious socio-economic crises and class contradictions created by the dominating interests of comprador bourgeois and the despotic rule of a corrupt, pro-western regime. It mobilized millions of people—from workers, peasants, and the petty bourgeoisie to sections of the small and medium national bourgeoisie—against the Shah’s regime. 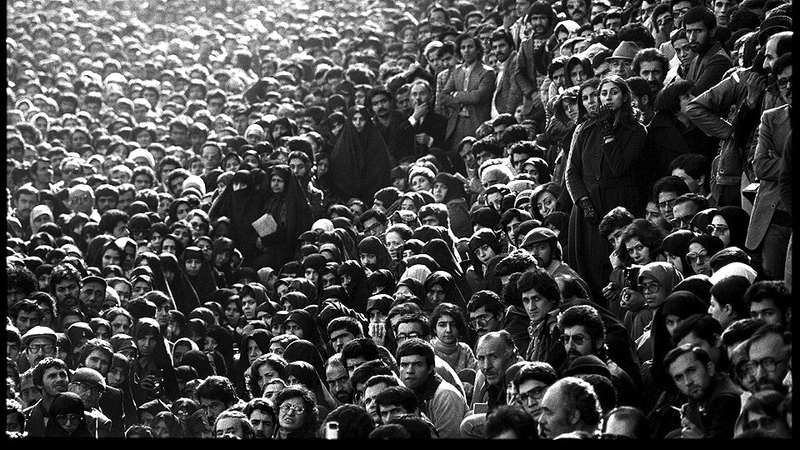 The Iranian Revolution and the toppling of the Shah’s regime was supported by the vast majority of people; millions were in the streets calling for change. What were the key demands of the majority of these forces in the 1979 Revolution, and was the establishment of a theocratic state one of them? As mentioned before, a wide range of social forces—from the working class to the national bourgeoisie, the middle strata, and the petty bourgeoisie, and the various socio-political forces representing their interests—participated in the revolution with different perspectives and programs. The people’s slogan was “Freedom, Independence, and Social Justice,” and that was the approach supported by our party. The religious forces insisted on adding the “Islamic Republic” to the people’s demands; they did not reveal, at first, what that would mean in practice. They revealed nothing of the characteristics of the kind of state they were planning. How and why did the forces of what you describe as “political Islam” manage to gain the upper hand? Wasn’t it possible for other revolutionary and/or secular forces to prevent this? 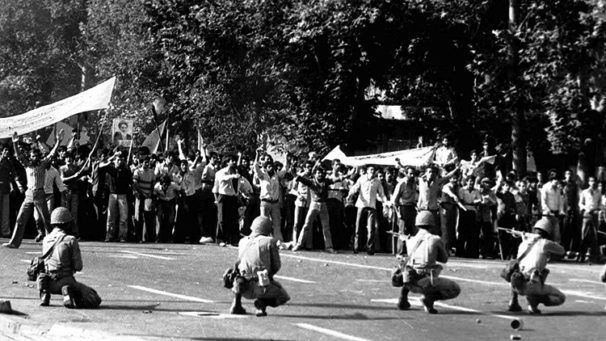 The ruling theocratic regime’s propaganda claims that the people of Iran came to the streets to topple the regime of the Shah in order to establish the “rule of Islam.” In reality, the 1979 Revolution had a clear social and class context that was aimed at removing the destructive influence of imperialist monopolies from our country, securing Iran’s economic and political independence, establishing justice, and democratizing the political and cultural life of our society. The 1979 Revolution ended up being taken over by religious forces for a number of critical reasons, dating right back to the aftermath of the 1953 CIA-MI6 coup d’état in Iran, which re-established the Shah’s regime. 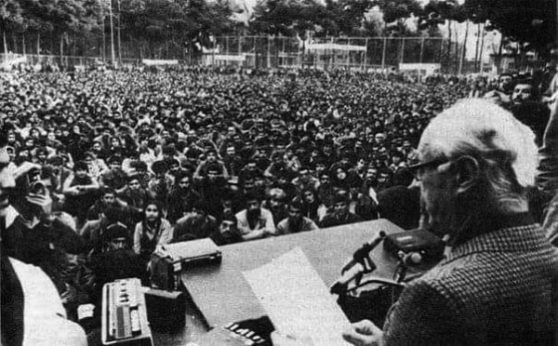 Over the following 25 years, while the left forces—especially the Tudeh Party of Iran, the nationalist forces and, later on, the guerrilla movements, including the People’s Fedaian and People’s Mujahedin—were heavily suppressed by the security forces, the clergy were allowed to use their networks, mosques, and religious events to organize and promote their agenda (Political Islam). The Shah’s regime and its dreaded security force, SAVAK, saw the clergy as an important tool in countering the left and radical forces in Iran. Indeed, in letters exchanged between then-President Carter and Ayatollah Khomeini (now published in the mémoires of Dr. Yazdi, Khomeini’s close confidante in Paris and Iran’s first post-revolutionary foreign minister), the U.S. was prepared to tolerate Khomeini’s regime provided they guaranteed to stop the influence of the Tudeh Party of Iran in Iran’s post-revolution era. In your publications, your assessment is that, after its initial success in overthrowing the Shah’s regime and bringing about a number of political changes, the 1979 Revolution was halted and ultimately failed. What characterizes it as a failed revolution, and was this inevitable? Could other revolutionary forces, including the Tudeh Party, have done things differently, thereby altering the negative course the revolution was taking? Did the left, including the Tudeh Party, make any mistakes, in your estimation? The Iranian Revolution successfully completed its political phase of overthrowing the Shah’s despotic regime. It was clear to our party that for the revolution to succeed, it needed to evolve into its social phase, replacing the socio-economic order it had inherited from the Shah’s regime with a new order. Many of our party’s slogans and our platform—including the nationalization of banks and multinational companies, as well as land reform—was carried out in the atmosphere that existed in the first year of the revolution. However, constant U.S. and reactionary interference in Iran, including the imposition of the imperialist-instigated Iraq-Iran War, stopped the revolution in its tracks and provided the backdrop for Khomeini and his followers to stop these programs and move towards the establishment of a theocratic regime. At the time, conscious of challenges facing the revolution, our party called for the formation of a “people’s united front” with other revolutionary forces to make sure that the revolutionary movement would not be derailed, but this did not materialize due to significant political differences among those forces. Our party, in its analysis of the early years of revolution, concluded that in our policy of “critical unity” with Khomeini and his followers, we were perhaps more concerned with unity than being critical of some of the policies that clearly were not in line with revolutionary ideals and the people’s demands. It is clear that had the left-democratic forces managed to come together, it would have been possible to change the balance of forces politically in the country for a different outcome. The reactionary forces, in a matter of three years, were able to attack the left and democratic forces one-by-one and then establish their absolute rule in Iran. The major slogans of the 1979 Revolution were for freedom, independence, and the establishment of a republic, with democratic rights and structures, to replace the Shah’s dictatorship. What is the Tudeh Party’s assessment of the outcome of the revolution for democracy, gender equality, the rights of ethnic and religious minorities, and trade union rights in Iran? Iran, 40 years after the revolution, is ruled by a despotic regime with no regard for human and democratic rights. Over past decades, we have witnessed laws restricting women’s rights and their treatment as second-class citizens. This has included medieval laws permitting the marriage of girls as young as 11, as well as enforcing gender segregation in places of education and even hospitals. The regime has also ruthlessly suppressed the basic rights of ethnic and national minorities, as well as religious minorities. Its record on trade union rights remains appalling. Many trade unionists are imprisoned or exiled and trade union activity either restricted by the state or forced underground. The regime has never accepted the legal operation of trade unions. It only permits Islamic Labor Councils—tripartite bodies involving the employers, government representatives, and employees—thus breaching ILO Conventions 87 and 98, guaranteeing all workers the right to belong to a trade union of their choice and engage in trade union activities. During the past forty years, many significant social movements have demanded, and continue to demand, change in Iran. Have these movements aimed to reform the political and socio-economic system in Iran, or have they been directed towards a more fundamental change in the social order? Over the past two decades, powerful social movements have emerged in Iran demanding change in the way the country is ruled and rebelling against corruption and repression. In 1997, Mohammad Khatami became Iran’s president promising reform and the “rule of law.” There was a powerful social force, from women to youth and students, behind Khatami, and he received over 20 million votes in the election. But his government’s promises were not realized due to their overriding belief that change could only take place if permitted by the “Supreme Religious Leader” and could not cross the “red lines” of the Islamic Republic. Over the eight years of Khatami’s presidency, despite some respite in terms of the oppression, real changes to Iran’s power structure never materialized, and the regime was able to neutralize the social movements and gain the initiative against them. Socio-economic conditions continue to worsen in Iran. Poverty is at unprecedented levels, with some estimating 40 percent of the population being below the poverty line, all while the regime has sold over $800 billion worth of oil over the last three decades. Now we are witnessing a radicalization of people’s demands amidst growing workers’ strikes and protests. In late 2017 and into 2018, we had sporadic protests in 80 Iranian cities which the regime suppressed savagely. 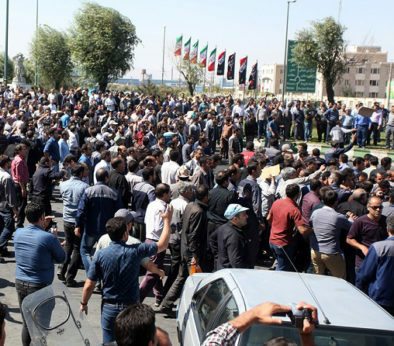 And over the past three months, we have been witnessing prolonged workers’ strikes in key industries such as steel, automobile, and sugarcane in the south of Iran. People are demanding an end to the current neoliberal policies of privatization, economic hardship, and the unprecedented levels of corruption. One of the characteristics of the 1979 Revolution was its then-stated “anti-imperialist” position. Some of the acts of the theocratic leadership were seen by some on the left as having a progressive motivation, as Iran’s way of protecting its sovereignty. How does the Tudeh Party assess the theocratic leadership’s stated policy of being opposed to U.S. imperialism? Is it sincere? Has the foreign policy of the Islamic Republic of Iran benefitted the Iranian people in any way? 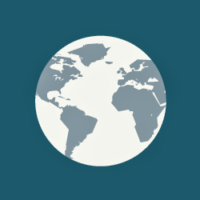 Clearly, their anti-American slogans were not based on the same understanding as the anti-imperialist slogans of the left and our party, which reflected our view of the destructive role of monopoly capital on the world stage and our belief that anti-imperialist forces should unite and work together to build a different world. The Iranian regime’s ideal economic model was that of a capitalist order wrapped up with empty Islamist slogans. For the Iranian regime, its influence in the region and the building of an Islamic empire was a critical part of its foreign policy and, as such, clashed with that of reactionary and puppet regimes in Saudi Arabia and other Arab states in the Persian Gulf region. 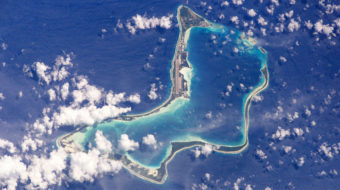 It is also important to note that at the most critical points in our region’s recent history, including the imperialist aggression in Afghanistan and Iraq, the Iranian regime—according to its own leaders—helped U.S. plans by opening up the country’s airspace so that attacks could be carried out against both neighboring countries. The Trump administration is now openly following a policy of regime change in Iran. What is your party’s position on the possibility of such an external intervention? Can you give us your opinion about the activities of President Trump, the Israeli government, Saudi Arabia, and their allies? What is the attitude of the Tudeh Party and the progressive and labor movement toward the sanctions imposed by the Trump administration against Iran? How do the sanctions hurt progressive forces? The Trump decision, in complete contravention of world public opinion, to take the U.S. out of the 2015 Joint Comprehensive Plan of Action (JCPOA) Agreement with Iran…has significantly increased tension in the region and raised the threat of a new devastating war in the Middle East. We condemn the re-imposition of economic and banking/monetary sanctions on Iran, which constitute an illegal violation of an international agreement ratified by the UN Security Council and mostly hurt the ordinary people of Iran. It is worth mentioning that similar sanctions against Iraq, prior to the U.S.’ military attack on that country in 2003, cost the lives of hundreds of thousands of vulnerable citizens, including children and the elderly. Despite Trump’s claim that his actions will help the Iranian people’s struggle, it is clear that U.S. policy is to change the course of the Iranian people’s struggle and facilitate a regime change to establish a puppet government. The struggle of the Iranian people against the religious dictatorship in Iran can only be determined by the Iranian people and its progressive forces. The backing of John Bolton and the Trump administration for the Pahlavi family (the family of the deposed Shah of Iran) and the so-called “National Council of Resistance” headed by Maryam Rajavi—who for many years received the patronage and protection of Iraqi dictator Saddam Hussein and who currently receives hundreds of millions of dollars’ worth of support from the criminal Bin Salman government regime in Saudi Arabia—clearly shows the real intentions of the U.S. government towards Iran and our peoples’ struggle. The Tudeh Party of Iran, along with other progressive forces in our country, view U.S. sanctions and its interference in Iran as directly opposed to the national interest of our country and our peoples’ struggle against the dictatorship in Iran. What objectives is the Tudeh Party pursuing at this stage of the struggle for the transformation of your country? Forty years after the victory of the 1979 Revolution, Iran is in need of fundamental and democratic change. The future of our country should be determined by our people, without external interference, through the establishment of a democratic political system. Iran has remained at the stage of National Democratic Revolution and the Tudeh Party of Iran is committed to our country realizing the following objectives: safeguarding national sovereignty; rolling back and eliminating the neoliberal economic restructuring implemented by the Islamic Republic; limiting and directing the growth of capitalism towards the growth and development of the productive forces of our national economy; the fair redistribution of materials and wealth; and, the realization of democratic freedoms and social justice. The Tudeh Party of Iran continues to believe that such a change requires the formation of a united anti-dictatorship front by mobilizing all social forces within our country and the emergence of a strong union of left and progressive forces with effective participation of the working class. The Tudeh Party of Iran believes the most urgent goal of the progressive forces in Iran is that they work together to prepare the grounds for ending the absolute rule of the Supreme Religious Leader once and for all, in order to open the way for fundamental democratic and enduring change in our country.